On March 13, 2003, Jeremy Perkins, a 28 year old untreated schizophrenic, stabbed his mother Elli 77 times. She bled to death on her bedroom floor. Jeremy is currently being held at Rochester Psychiatric Center, having been found not responsible for Elli's murder by reason of mental disease or defect. Perkins, his mother and father, his sister, and her husband are all members of the Church of Scientology, a group that believes modern psychiatric medicine derives from an ancient alien civilization's plot to drug and enslave humanity. 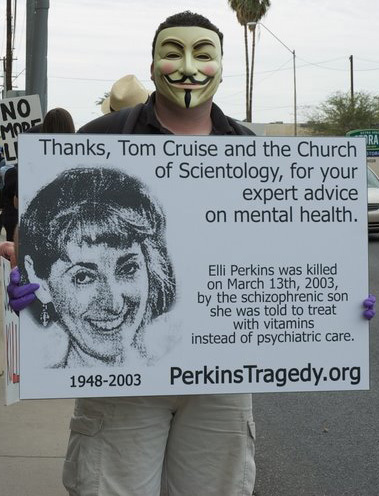 Scientologists like Tom Cruise vehemently and publicly oppose the pharmacological treatment of mental illness. Unfortunately, Scientology's own brand of therapy, called "auditing", is worthless. 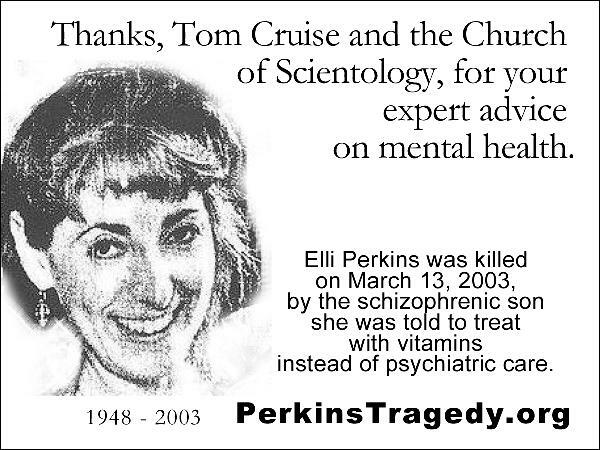 Elli Perkins was a senior auditor (counselor) at the Church of Scientology of Buffalo, New York. Her son-in-law, Jeff Carlson, was the Executive Director of that church. 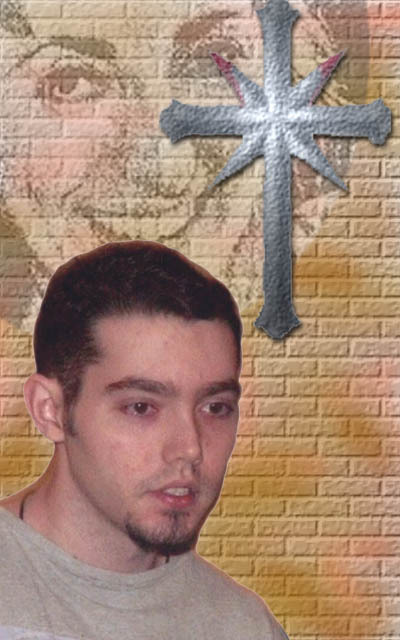 Jeremy himself had taken Scientology courses there, and was even flown out to Los Angeles to join Scientology's paramilitary Sea Organization, although he was promptly sent back home due to his mental problems. After consulting a Scientologist osteopath, Dr. Conrad Maulfair, Elli was treating Jeremy with vitamins, which he disliked. Within hours of Elli's murder, which occurred on L. Ron Hubbard's birthday, the Church of Scientology initiated a crash cover-up to hide its connections to the case. Jeremy's family has since "disconnected" from him, per Scientology policy. This web site reveals Scientology's true role in the death of Elli Perkins and the destruction of Jeremy's life.